Preheat oven 400 degrees F. Lightly spray a baking sheet with oil, set aside. Process cauliflower and onion in a food processor or grate with a box grater until crumbly. Transfer riced cauliflower mixture into a large bowl. Place patties on baking sheet and bake for 40 minutes, turning halfway or heat oil in a large skillet over medium-high heat. Add about 2 or 3 patties and cook for 4-5 minutes on one side. Flip patties and cook for about another 4-5 minutes or until golden brown. Repeat with remaining batter until finished. 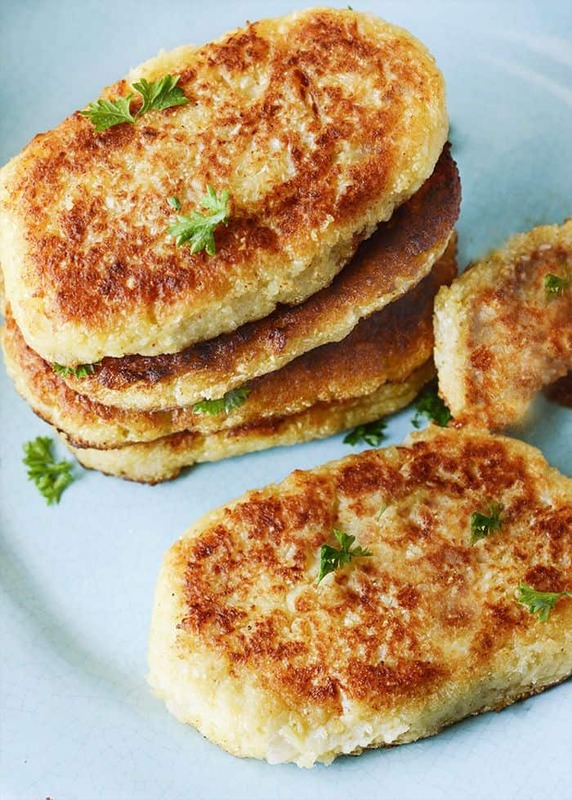 0 Response to "Gluten-Free Vegan Cauliflower Hash Browns"